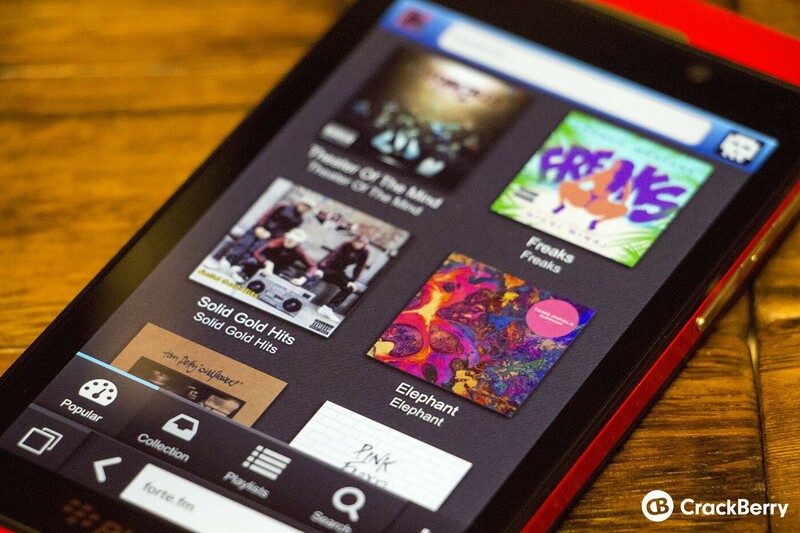 When it comes to streaming music apps in BlackBerry World for BlackBerry 10, there isn't really a shortage. TuneIn Radio, Slacker, Songza, Deezer, 8Tracks and more are available but for some, myself included, the offerings won't be complete until Rdio arrives. BlackBerry has already confirmed the app will be arriving but for now Rdio appears to be dragging their heels and offering little to no information about a release. Luckily though, Rdio actually provides a pretty good API for their service and because of that developers can tap into the service and create some pretty compelling apps and web apps to help fill the 'official' app void. One such developer, Jason Miller, from DevelopIT has gone ahead and put together a web app for BlackBerry 10 users. It's a simple offering that allows access to your Rdio collection, playlists and all the currently popular music offered on Rdio. It's not a perfect solution by any means due to the fact it doesn't cache your music and your browser needs to remain open in an active frame in order to use it, but it sure as hell beats trying to navigate the Rdio site directly from the BlackBerry 10 browser. If you have an Rdio account, all you need to do is browse to forte.fm and enter in your Rdio credentials and you'll be all set. Just like the site though, if you don't have an account, then you'll only have access to 30-second previews. You can hit the forums link below to learn more about the webapp itself and check out some more screenshots, plus if you have any feedback you'd like to offer, Jason is certainly open to hearing it.